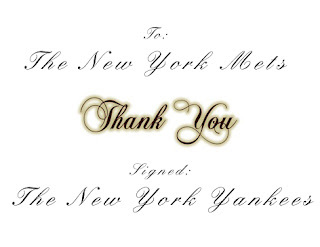 Have to say, the team that benefits most (aside from the Mets) by the Johan Santana trade, is the Yankees. They don't have to give up one of their pitching prospects. They don't have to try and outbid the Red Sox, either in prospects or in salary. Basically, all they had to do was push away from the table and see one of the best pitchers head to the National League. One more Santana thing; did the Twins really give him up for that package? I think they got hoodwinked. Baseball America agrees. They consider the package as potential high reward, but very high risk. And not only are all the prospects risky, not one of them is ready to help now (Humber included). You don't trade the best pitcher in baseball for a bunch of risky kids, not one of them being a sure thing. They at least should have stood their ground for Reyes. Despite what he did at Nebraska, I am happy that Bill Callahan has been brought in to fix the Jets offensive line. When he coached the offensive line at Wisconsin, Callahan was praised by former Wisconsin Head Coach, Barry Alvarez, as one of the reasons Wisconsin was able to win 3 Rose Bowls during the 90s. As offensive coordinator of the Raiders, his offenses were always dynamic and up high in the stat charts. And let's face it, the Jets O-Line was a sieve last year; he can't possibly do worse. Lost in the New York City tabloid-hoopla of the Giants Super Bowl run and all the Johan to Shea talk is the fact that the Yankees did something very good and very quietly. Namely, they locked Robbie Cano to a multi-year deal. Years ago, Cano would have been traded away for an aging right fielder or some such. But Cashman has wisely fought off any attempts to trade him, and now, Robbie will be staying right where he belongs. "I expected waves of New England rushers to come after Rivers, all day … five, six, seven of them, crashing down on the pocket and trying to get the kid moving and off-balance and down on the turf. Especially with his All-Pro TE Antonio Gates at 50 percent, a bum toe, and football’s biggest draw-play threat, LaDainian Tomlinson, stuck on the sideline with knee problems of his own." Totally agree. Can't see what Belichek's not rushing Rivers plan afforded them. One thing though, I have a serious inkling Eli is going to see rushers in his face all day Sunday. Read somewhere that the Devil Rays are thinking of not signing Scott Kazmir to a long contract. Seriously, I have to ask this...are the Devil Rays, in fact, retarded? The lefty was first in the AL in strikeouts last year. He was 9th in the AL ERA with 3.48. He's a bona fide ace who logged over 200 innings last year and he turned 23 a week ago. Aces don't come that frequently, guys. Ask the Yanks. When you have a young one, and a lefty to boot, and you're having a problem winning games and drawing fans...the answer is not to let him go. It's to tie the sunuvagun up, keep in your franchise and surround him with other players. To finish off, here's a couple of stats about the Super Bowl. L. Maroney has had 4 100-yard days in the past 5 games. The one time he didn't make it? Against the Giants—only 46 yards that day. Another stat: the Giants have had only 3 sacks in the playoffs, and only one by the defensive line. Don't know what they both mean, but they are interesting. Hooray for the Mets. The thought of Johan on the Sox has bothered me since the end of the season. P-Cat, I have to agree with your assessment about the Mets swindling the Twins. The only thing I can think of as to why they accepted this trade without Reyes is that they could not afford him long term. Otherwise, you would think that they would have insisted on at least one established player. If the Pats pin their ears back and blitz Manning all day, I hope the Giants work Bradshaw heavily. He's a great draw play option, whereas Jacobs, well, ain't so hot on the draw. Also, Bradshaw becomes really dangerous at the second level. If they blitz and he gets by the linebackers and maybe even an "overly zealous" safety, he can take it to the hizzle. I'm not suggesting that Jacobs shouldn't get his touches, just that Bradshaw should get at least as many, especially if the Pats rush 5 and 6 often.